Please don't get me wrong with this one. I know I have to share something about these two days. I have not gone somewhere on Monday, but we went to mount Samat on Tuesday. To tell you the truth, I have not felt special on these days but I still have something that I could share for reflection. And since I still use this days for my holy vacation. Holy Monday was a time to reflect before I do many things again. I was still troubled with a lot of things that is currently happening in my life. Also I would like to mention that I feel that I must enter a lot of contest. Am I just too anxious? or too pressured to do things that I really dont need to do. God gave me this time to just take time for myself and reflect, but what do I do, worry more. I should have read scriptures to help me reflect. Today , April 5, 2009 , is actually a jam-packed day. There were a lot of events that happened on this day in which, I haven't attended one of them. Last Friday after I was invited to see a movie at Gateway, they also gave me an invite to go to the Fort for the Fast and Furious show , however I got up late with no choice to attend the two other events I have planned on that day; Palm Sunday and the Ozine fest '09 at the megamall. Since I love to attend mass at the megamall (the Chapel of the Eucharistic Lord), it was also a good chance to attend the cosplay event just a few steps away. Of course, I have to attend mass first, especially its holy week. I have planned this week for months so I could really concentrate on doing reflections and blog them. And there are still a lot of hindances along the way, we cant escape that, but we could do something about that. 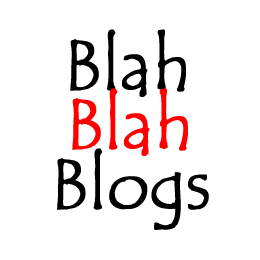 Blah Blah Blogs will be posted on the blogspot but will be echoed on multiply. But this does not mean there will no post in multiply. Sabi ko nga, i-eecho ko dito kaya dont fret citizens! Huwag mag-panic! Huwag mag... mag...simula ng rebulusyon ( malay natin, baka magyari pero sa ngayon asa ako). And for today's episode, bawi-bawi muna ako sa mga araw na hindi ako naka-blog dahil sa pagiging abala ko sa KRISIS! Komix (insert image here). At tinamaan kaya ako ng e-bola recon salmonela, at hayun, tinamad ako. HOWEVER, since we left so mant things in this past days, we have a lot in store for today. Earth Hour, Krisis! Komix, Free movie plus a wonderful night with people in different media. Proud to be Brown Presents ...The Speaks! The Speaks were in Manila but I missed the event. HOWEVER, I still love their songs! And the great thing is their members are Filipino(well most of them)! Actually it was been a while since we heard from them, but their music has permanence! I can still feel shivers while listening to them. I haven't got their album, but hope I would have one soon. So be proud to be brown!